MBC′s Music Core will be bringing back its music charts. The new phase of the show will feature new MCs and a new chart system. 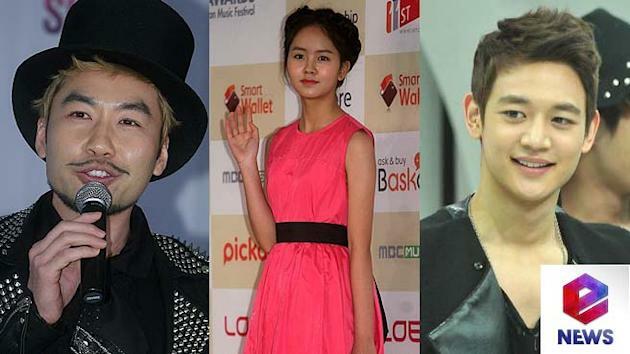 Noh Hong Chul, SHINee′s Minho and Kim So Hyun of I Miss You fame will be taking up the MC spots previously taken over by Taetiseo. Music Core′s new chart will take into account music download and album sales stats as well as views on YouTube and a pre-broadcast vote by a 2,000-person viewer panel. The viewer panel will be made up of people ranging from their teens to those over 40, and they will be asked to choose four songs out of 30 every week. The panel will be renewed every month to ensure fairness. The no. 1 winner will be decided through a live text poll taking place during the broadcast. Every voter will be asked to choose not one, but two teams out of the nominees, and votes for only one candidate will not be counted to prevent fan wars. A mini-section in the middle of the broadcast will take a look at the midterm results of the live vote, as well as an interview of the nominees, letting viewers take a closer look at the contenders. The new charts and MCs will debut through the April 20 broadcast.